Finn here. This is an incredibly sad message for me to have to write, but I’m sorry to tell you that it seems this is the end of the road for Shorelark. Georgia has decided the time has come for her to move on, and is leaving the duo with immediate effect. This has come as a massive shock to me and it goes without saying that whilst I respect her decision, I’m very confused and upset about the situation. What comes as a greater disappointment is that I received this news just days before we were due to start recording our debut album. This is something we’d been looking forward to for years and it’s a real shame we’ll never get to share that with you. On behalf of us both, however, I want to take this opportunity to say a massive and heartfelt thanks to every single person who has helped us in any way, through booking us, engineering sound for us, coming to see us play, buying CDs… We’ve been blown away by your support, and although the situation is obviously out of my control, I can only apologise for any disappointment this news may cause. Given that I’ve spent so much time preparing to make an album, I’ve decided that next I’m going to do… just that! It’s long been an ambition of mine to make a solo album featuring my own instrumental compositions, and this seems a good chance to immerse myself in a new project. It’ll be out next year. Keep up to date with this and my other work by liking my Facebook page, following me on Twitter & Instagram, and via my website. I’d also like to wish Georgia every success with her future projects. You can follow her progress by liking her solo Facebook page and be sure to check out her new solo EP. I’ll miss her companionship and musical creativity greatly. She is a dear friend, and I will continue to cherish that. Once again, eternal thanks for your support. The ever-wise David Grimwood reminded me the other day that everything that happens in life leads you to where you are now. So here’s to the future, and new and exciting things to come. We’ve played a handful of great shows so far this year. 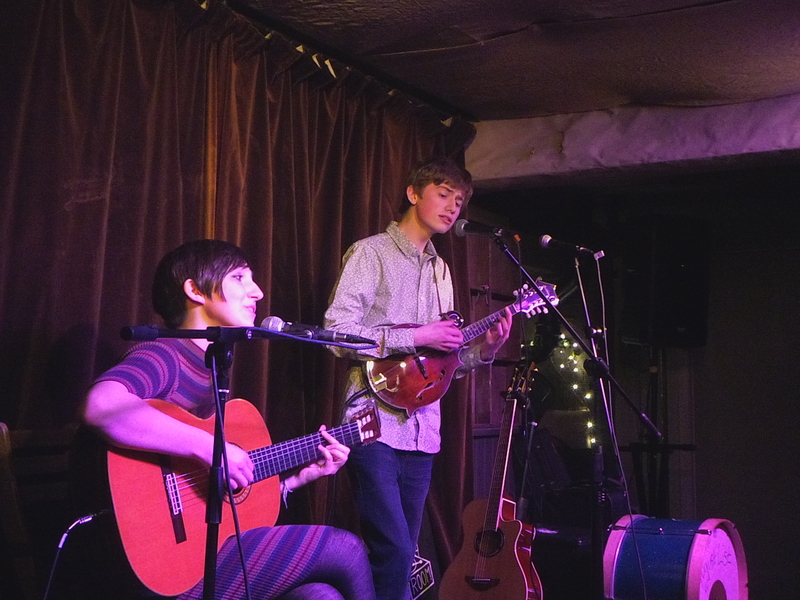 Our headline slot at Loughton Folk Club back in January was a great start to the year, and we loved playing a local gig at The Gladstone Arms in London. We then played for a lovely appreciative audience at the Sweffling White Horse in Suffolk. All the photos in this blog are from the Gladstone Arms show – thanks to James Hammick for the great shots! Head to Finn’s new website for more information… More gigs/festivals announced soon! We’ll be back together in the summer playing a couple of festivals… In the meantime, we’re making plans for new tunes and autumn gigs. As usual – recommendations super welcome! We hope you had a fantastic festive season. 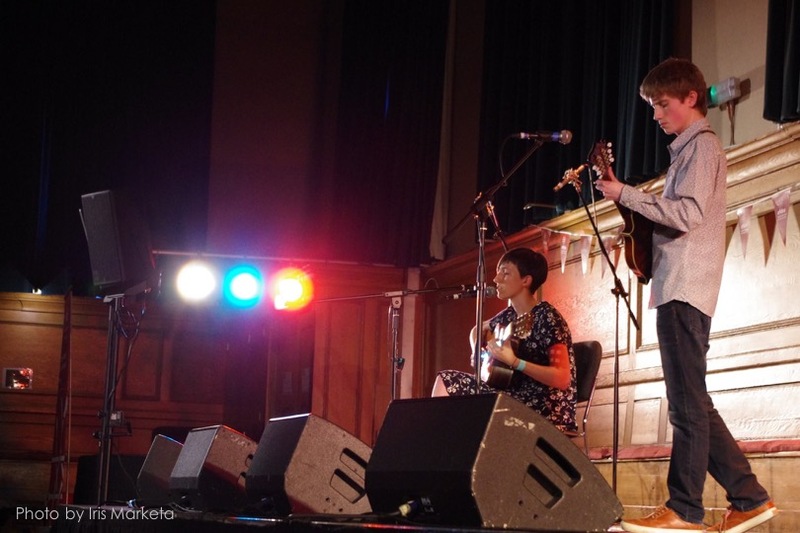 We’ve had a few weeks off but really enjoyed our gigs in London and Brighton for The Folkroom at the end of November. We have three gigs spread over the first three months of 2018 – do come and join us if you can, we’d love to see you! We’ve had our best year yet with the most gigs we’ve ever done, branching out into new areas of the country, and we’ve met and played with some fantastic people along the way. We just wanted to take this opportunity to thank everyone for continuing to support us in what we do – it really means a lot! Here’s a few photographic highlights of the year! As a little thank you for your support this year, here’s a new live video recorded back in June, on the longest day of the year! This was our encore, Dolly, a track from our EP Longwayes for Six. Happy New Year everyone – looking forward to seeing you in 2018! It was fantastic to see so many of you at our gigs over the summer. It was by far our busiest season to date during which time we played some of our best shows ever. A huge thank you to all the festivals, venues, promoters and stage crews that looked after us so well! In case you missed it on our Facebook page, here’s a short clip from our show on Aldeburgh’s Bandstand on the Beach. There are more videos to come so stay tuned! We have a few shows coming up this autumn… Two return visits and one new venue – we hope you can come and join us. Finn has recently started studying at the Guildhall School which means that excitingly, we are actually based in the same city for the first time! We have plans to make the best of this, hopefully accomplishing some ideas that have been brewing for the last year or so… Keep your eyes/ears peeled for new stuff coming your way! 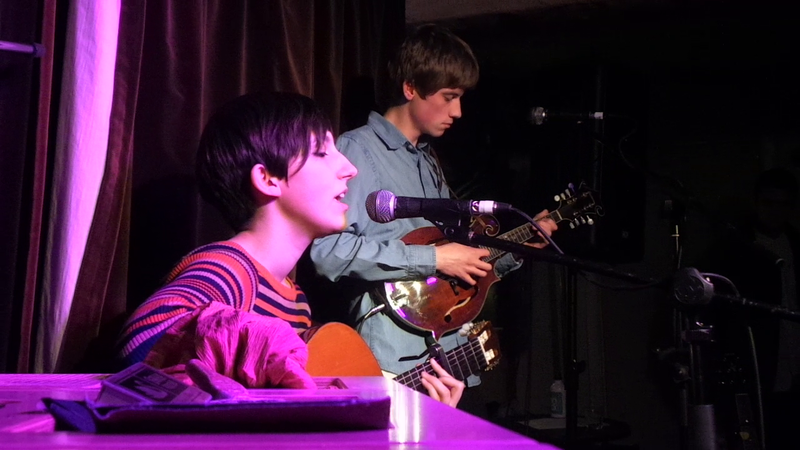 In the meantime, Finn has a solo gig coming up in St Albans supporting Kitty Macfarlane this Friday (6th October), and Georgia has begun a series of her own solo gigs at the Yield N16 wine bar in London. The festival season has officially started and we’ve got our busiest summer yet! We started off at Homegrown Music Festival where the weather was perfect, and although we were competing with heavy rock bands, we still managed to find a few folk fans! 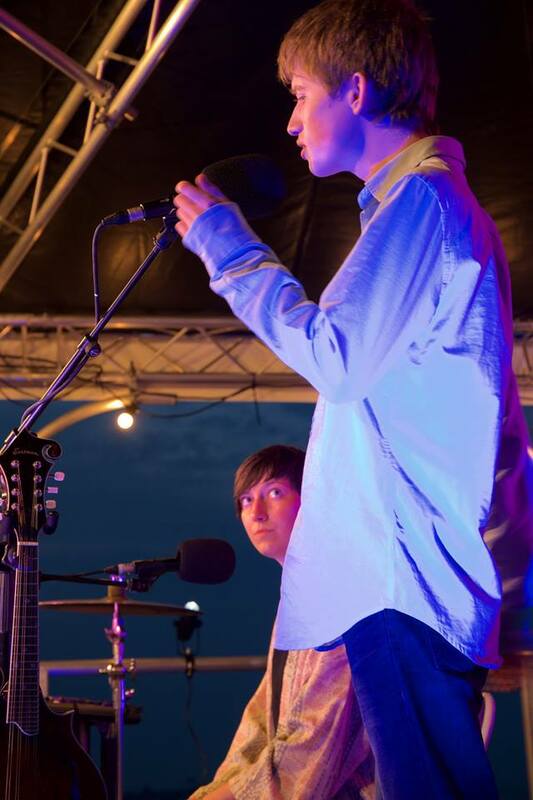 Then last Wednesday we returned to the place we played our first ever gig – Aldeburgh’s Bandstand on the Beach. This time we played an evening show for the Summer Solstice. The combination of lovely audience, incredible setting/atmosphere and amazing sound made it one of our favourite shows to date. Check out the photos below – many thanks to Roley Flex Photography for giving permission for us to share these. There are still plenty of opportunities to catch us live this summer. Here’s our full Summer 2017 gig list on a handy flyer; as ever, info and ticket links are available here. Georgia is still busy as always as a member of Aldeburgh Young Musicians, and has exciting plans to record some solo material over the coming months. Needless to say we’ll let you know when you can hear this. 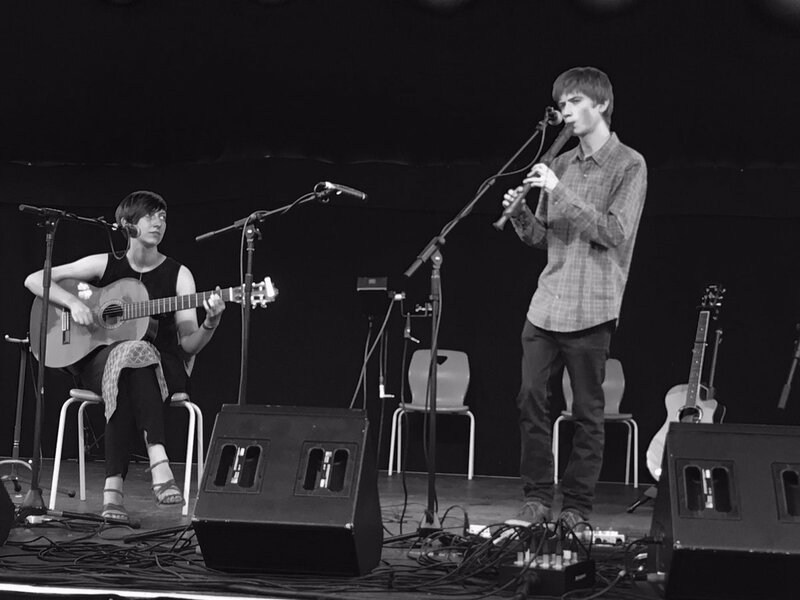 Finn’s played his first solo gigs over the last month or so – he’s on the lookout for other gigs so get in touch if you know of anywhere. 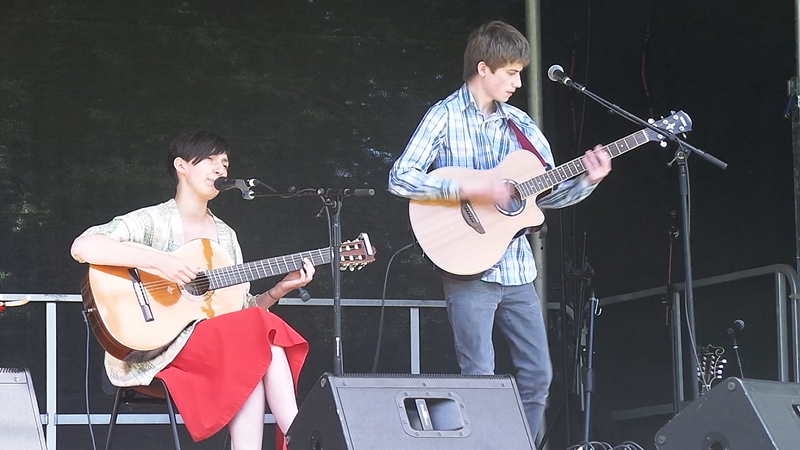 Finn also appears on Tilly Moses’ new album “Alight & Adrift” and will be playing gigs with her in duo and band format throughout the summer. Can’t wait for the rest of the summer shows – really hope you can make it along to one! Hard to believe our acoustic support slots in Loughton and St Albans were nearly a month ago – we had a brilliant time at both venues and loved the headline sets by The Malingerers and The James Brothers. 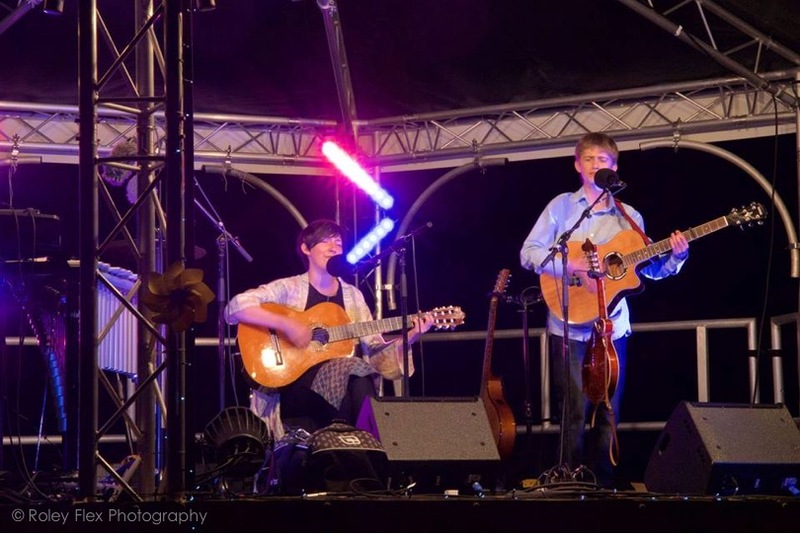 Some of our performances at Broadstairs Folk Week have been announced. Tickets for these individual events go on sale on 1st May. If you’re planning on attending the festival for the whole week, there’s early booking discounts available until 1st May so book quickly! We’ve got two other festivals in Suffolk this summer – a return to the marvellous FolkEast, and (new announcement) our first visit to Homegrown Music Festival near Bury St Edmunds. Ticket links for these and all our other gigs are available on our Gigs page. We’ve got a couple of other gigs in the pipeline but as ever, if you know of anywhere we should be playing, please do get in touch. Hope to see you in the summer! 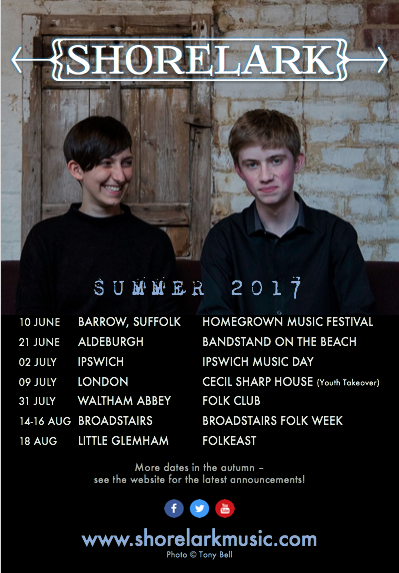 We’re delighted to announce that we’ll be appearing at BROADSTAIRS FOLK WEEK and FOLKEAST this summer. Tickets for both events are available now from their respective websites… Can’t wait! Info and ticket links for all the events mentioned are on our Gigs Page. We’re still available for a few more gigs from this summer, so get in touch if you’re interested, or know of somewhere! That’s it for now – looking forward to getting back out on the road next month!